Awake fMRI offers us a unique opportunity to view and understand how dogs see the world and use the information in it. Given the limitations of behavioral assays and the small sample sizes inherent in these studies, labeling of patterns of canine behaviors using pop psychology terms may actually interfere with our understanding of canine brains and obscure for us a more parsimonious but exciting interpretation of canine behavior. We should use this window into how dogs think wisely. 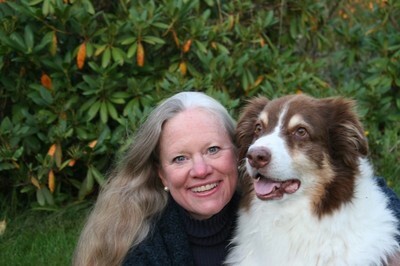 Karen Overall, senior researcher, Biology Department, University of Pennsylvania, and Editor-in-Chief of Journal of Veterinary Behavior: Clinical Applications and Research, is author of multiple text books and hundreds of scientific articles. Her research focuses on behavioral genetics of anxiety and other disorders in dogs, on dogs as natural animal models, and on problem-solving behavior and other performance assays in pet and working dogs.